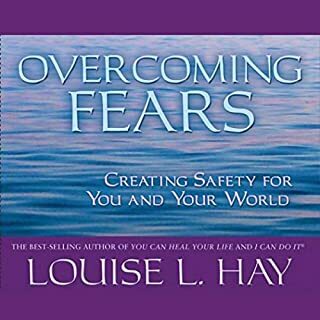 On this enlightening and entertaining CD, Louise explains how we can dissolve the barriers that prevent us from being healthy and successful. She shows us that fear, guilt, resentment, criticism, and other negative forms of programming from the past can be transformed into opportunities for positive change and growth. 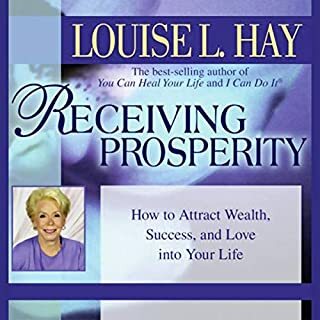 ©1988 Louise L. Hay (P)1988 Hay House, Inc. I listened to this tape every morning and evening faithfully when I was experiencing extreme anxiety. I had just found out my son had cancer. I could not sleep or eat focus or concentrate. The meditations helped me rest at night which was a wonderful gift. In the morning it helped me face the new day. Don't think you have to be anxious to listen to this program. It is wonderful and I would not be without it. Louise Hay has such a soothing voice and such wisdom. Highly recommended. Wow Wow Wow! What a wonderful opportunity to be able to listen to this. 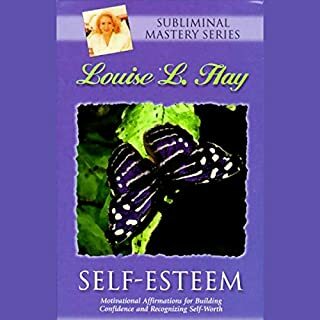 I feel that life is wonderful and it is bringing into my life people like Louise Hay, with this wonderful book to provide me with spiritual guidance. I bought this audiobook a couple of months ago, and it has been my inspiration ever since. Louise, I love you! You are wonderful. May life give you back multiplied all the healing and blessings that you provide us, your audience. The morning meditation helps bring to mind everything we can be greatful for. You see the blessings instead of the lack. The night meditation is equally beneficial. You relax totally, let go of negative emotions, and prepare your mind for peaceful sleep. Gratitude and letting go...two very important healthy steps...coupled with Louise's saintly voice and words! Amazing way to start and end my day! So many profound ideas to consider and reflect on. Part of my daily routine now. Thank you Louise for your wonderful insights. This is THE best way to start and end the day. 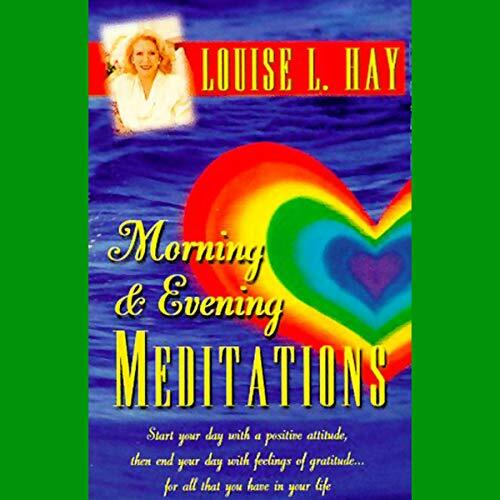 Louise Hay's pleasing tone and uplifting words truly help to create the day I want. I had this meditation on cassette tape years ago. Lost it and could not find it anywhere. I am so please I found it here. It helped me in the past to relax and focus on the simplicity of life. Now I can take that journey into relaxation again. 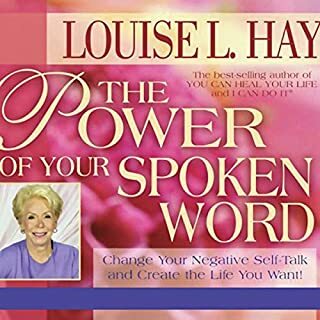 It's Louise Hay! Perfect in every way!!! 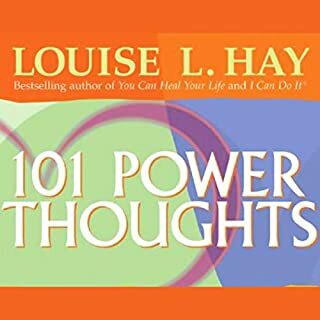 It's Louise Hay! Perfect in every way!!! Love it. Fell asleep and woke up to this audio book ! This is magic! I am grateful! The recording is old and VERY poor quality. There is also bad piano music in the background that doesn't is more annoying than soothing. I would not recommed this. Louise Hay has such a soothing voice - listening to her makes me feel like everything is going to be OK. The morning meditation is focused on starting the day with gratitude. The evening meditation is focused on relaxing and letting the day go with ease and grace and refocusing on positivity. Both meditations are about 25 minutes long. If you like her work, then you will enjoy this meditation. If you have never read any of her material - I would recommend listening to 'You can heal your life'. Very nice relaxing and I feel reborn after each session. Wonderful experience! Thank you Louise! Top and tail the day! A great way to start and or finish the day. Although I don't always do the "morning" meditation first thing it is still a useful pause at a later point in the day. Going to bed on a positive note, with the evening reflection, also helps me get a good restful night. they are really lovely, I love the night time meditation in particular as it helps me to get to sleep and sleep well but also to wake up refreshed and ready for a new day. 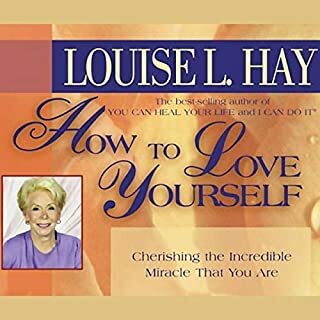 I love Louise Hay but this has been badly edited and produced. It ends suddenly and then the horrible loud music from Hay House comes on and a guy talks to you in a really loud American voice. This is supposed to be a sleep meditation. Also, it's really annoying how at the end of every Audible audio book a guy shouts in your ear "Audible hopes you have enjoyed this program!" Please get rid of this guy from all your audio books. I mainly listen to this on my head phones on the way to work. I find it helps to prepare me for the day ahead. The quotes are useful and can be used in a variety of stressful situations. I find myself applying them when I feel stressed and they often take my mind off the issue I am worrying about. Thanking the stove and other electrics??! Thanking the bed and a lot more odd stuff. I know your at peace and being calm, but I don't feeel that thanking electrical appliances for working is what regualr people need to be at peace. I listened to Louise tell her (personal) story so many years ago. It helped me through a difficult period then. As with any PTSD sufferer, voice is so important. Louise has a voice I trust instantly.